Get ISO Certification for Your Company Online in India. Fastest ISO Registration Services Online. Become ISO Certified Organization and increase credibility & trust of your company. Food Safety Management Systems (FSMS). This standard combines the principles of Hazard Analysis and Critical Control Point (HACCP). 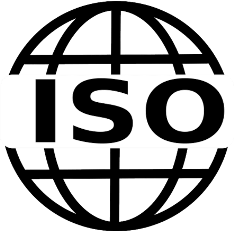 ISO, the International Organization for Standardization, promotes global standardization for specifications and requirements for materials, products, procedures, formats, information and quality management systems. ISO standardizes how businesses and organizations involved in commerce and industry should manage information and processes. Certification under ISO standards is an assurance that the ISO-required management of processes and documentation is in place. How to become ISO Certified? Make energy savings and help make your organization more efficient with this standard. Ensure your organization's information is secure with this family of standards. ISO 9001:2015 is the latest version of ISO 9001 and it provides a set of standardized requirements for a quality management system (QMS). It set out the criteria for a quality management systems. ISO 9001:2015 can be used by any organization, large or small, regardless of its field of activity. In fact, over one million (Ten Lakhs) companies and organizations certified to ISO 9001 standard globally. It is the fore leader in not only quality management systems, but within all management systems.